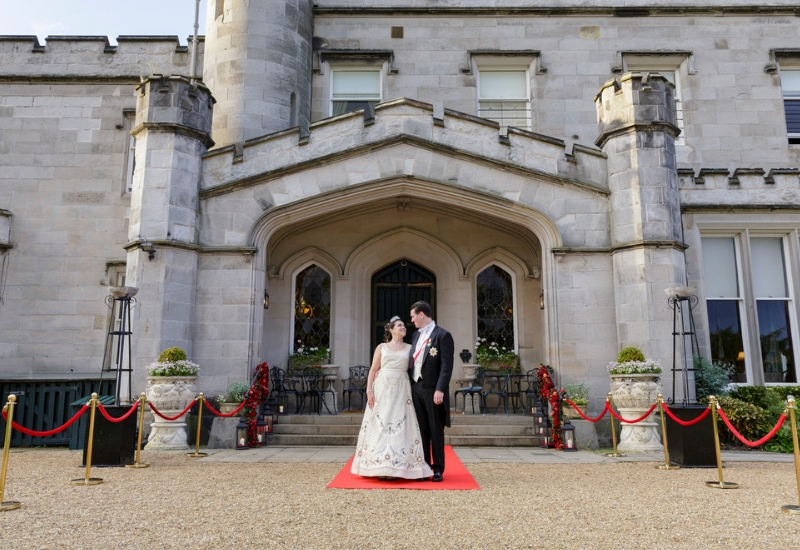 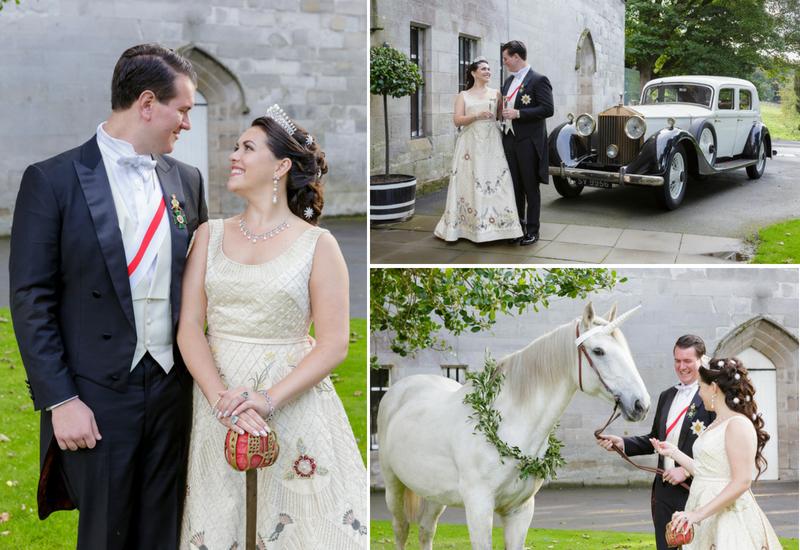 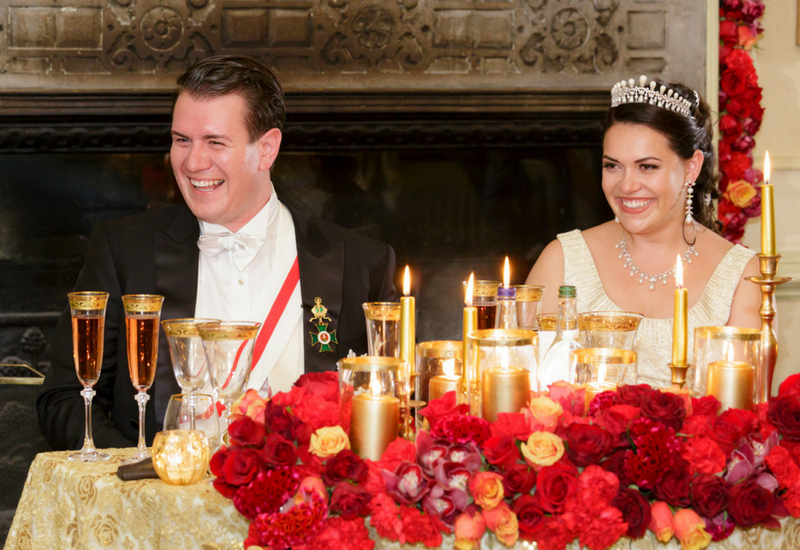 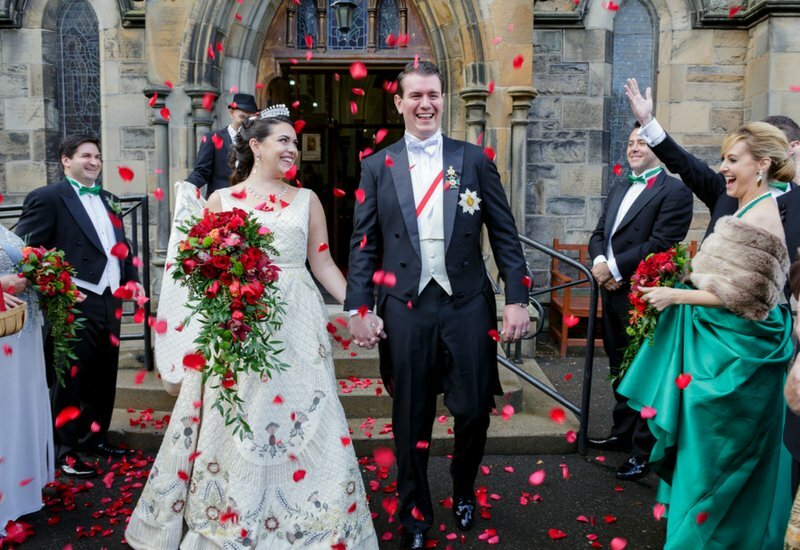 Gina and Michael travelled to Scotland from America for their royal wedding themed day. 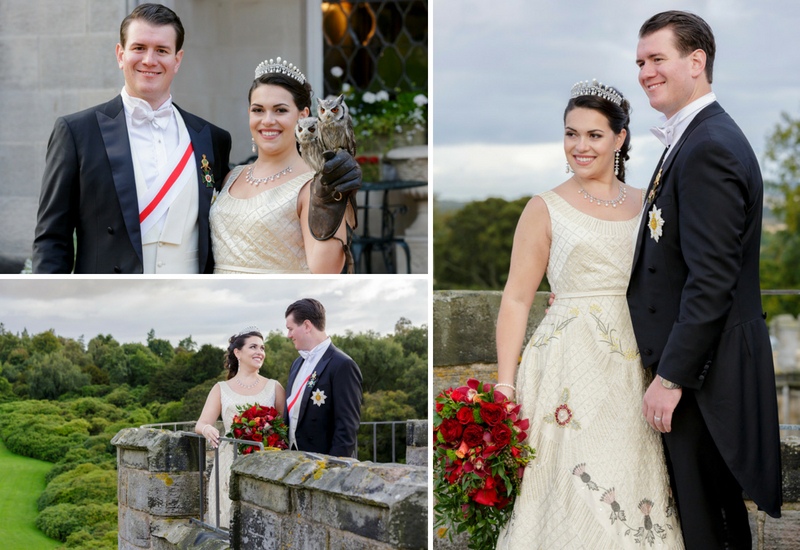 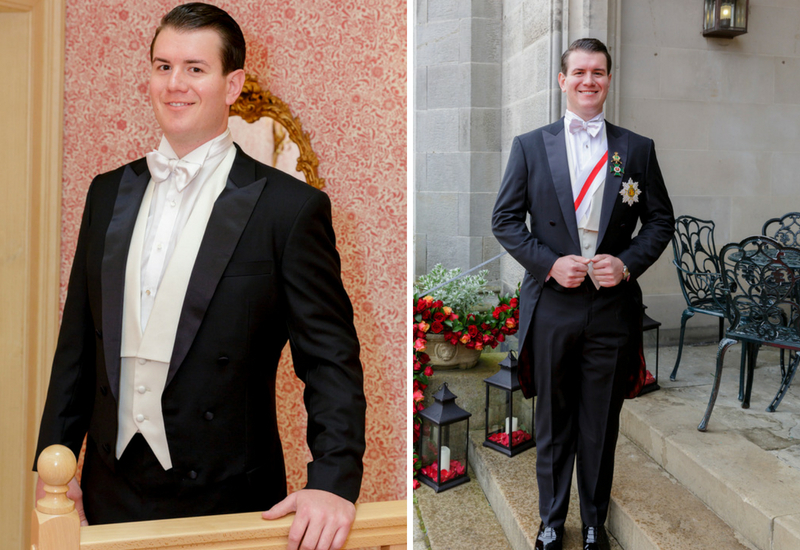 Gina had a passion for British history which inspired her to design a wedding dress based on Queen Elizabeth’s 1953 Coronation dress. 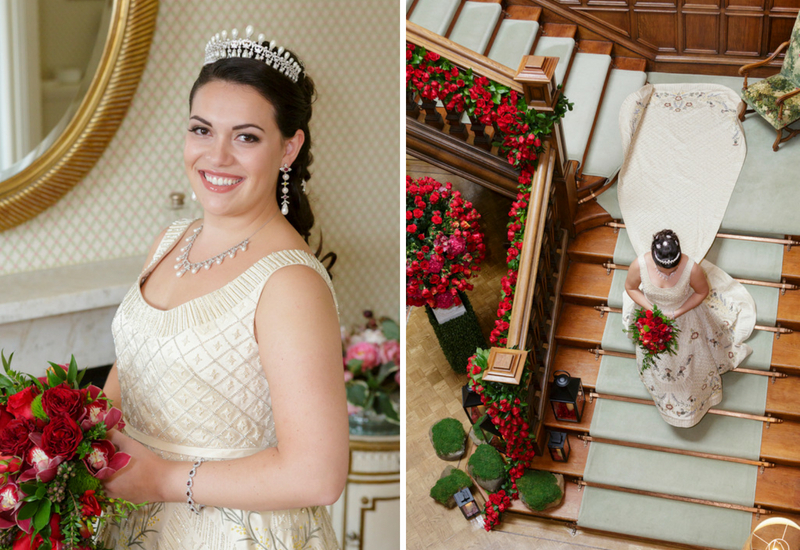 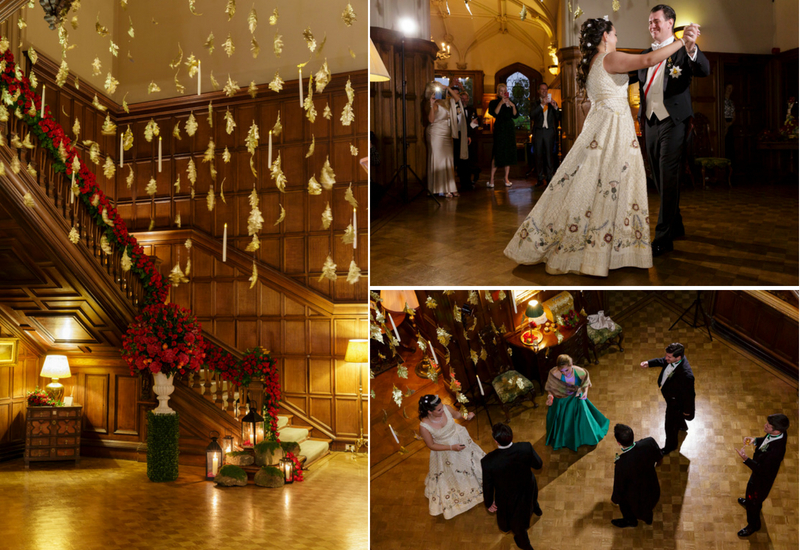 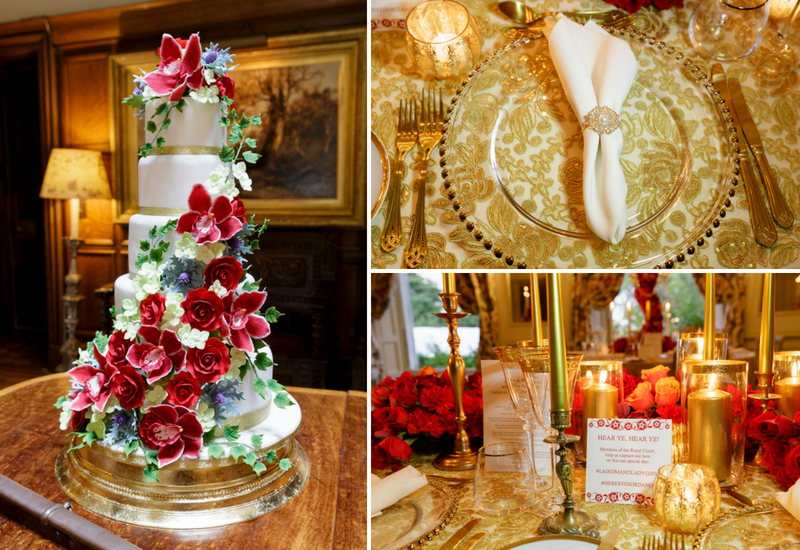 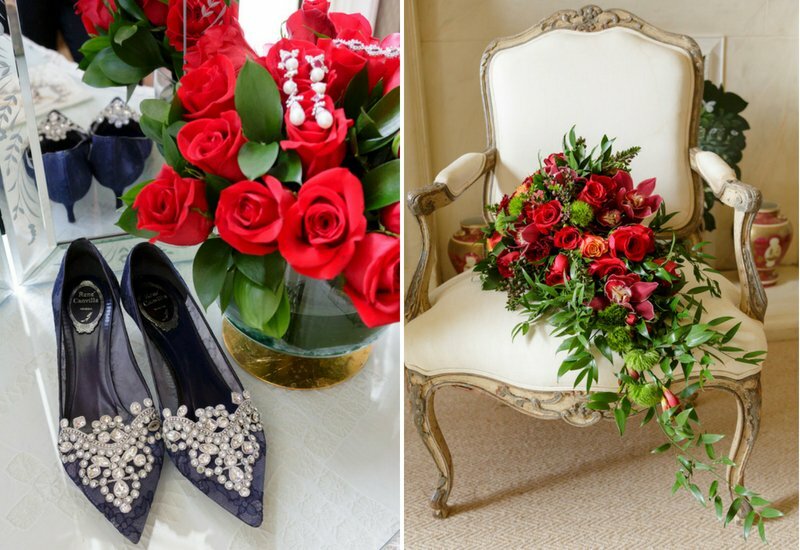 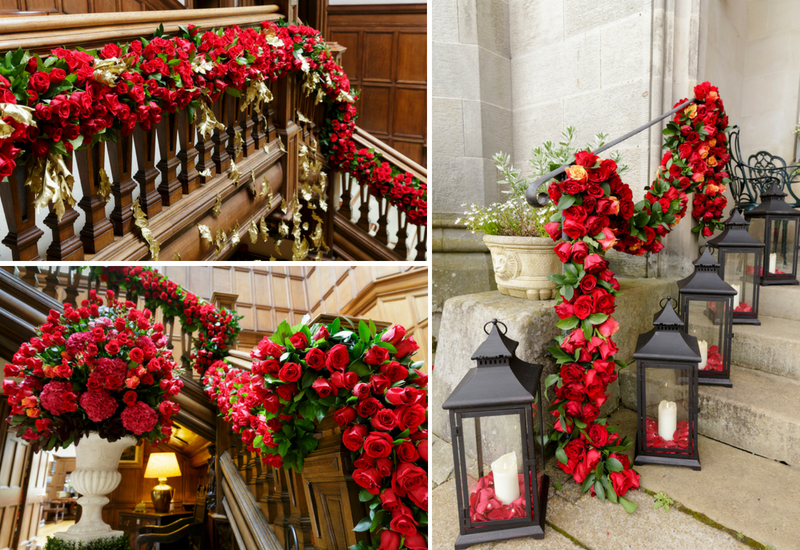 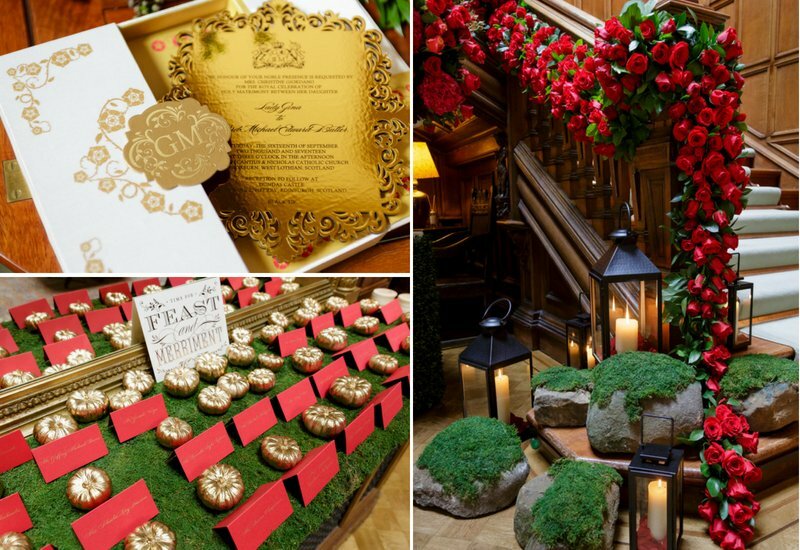 They decorated Dundas beautifully, filling the main hall and Croquet Room with 12,000 red roses and adding touches of gold throughout. 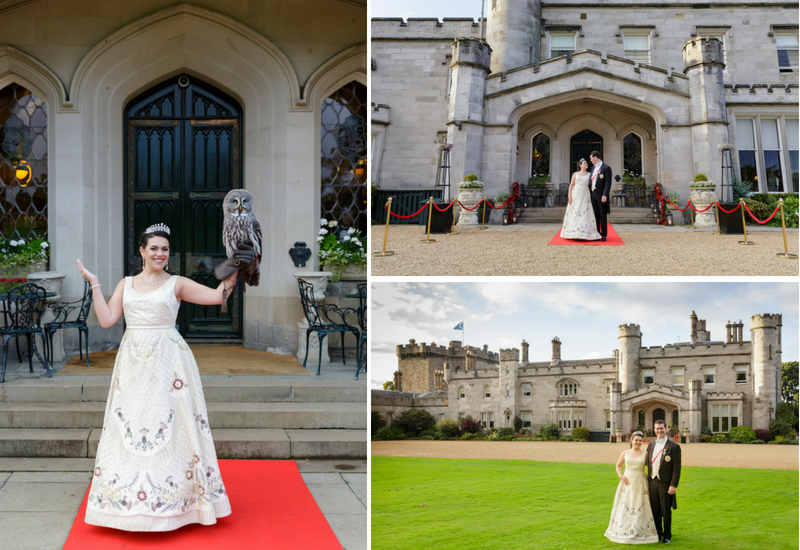 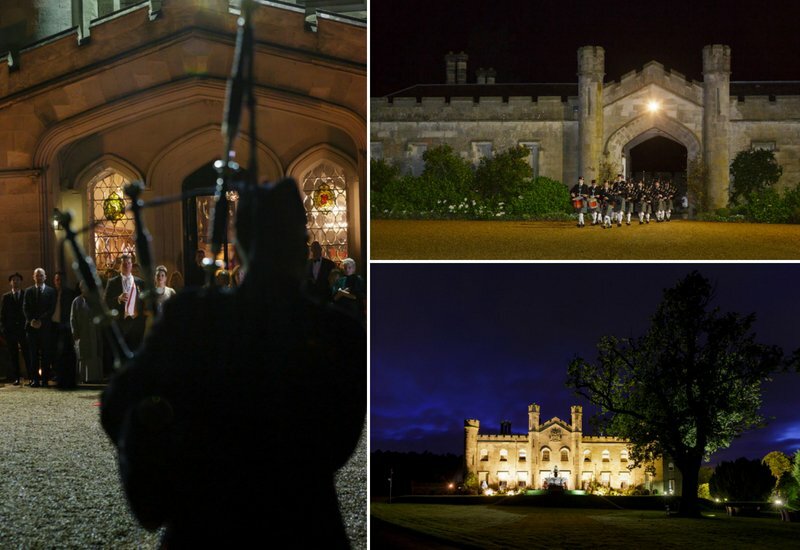 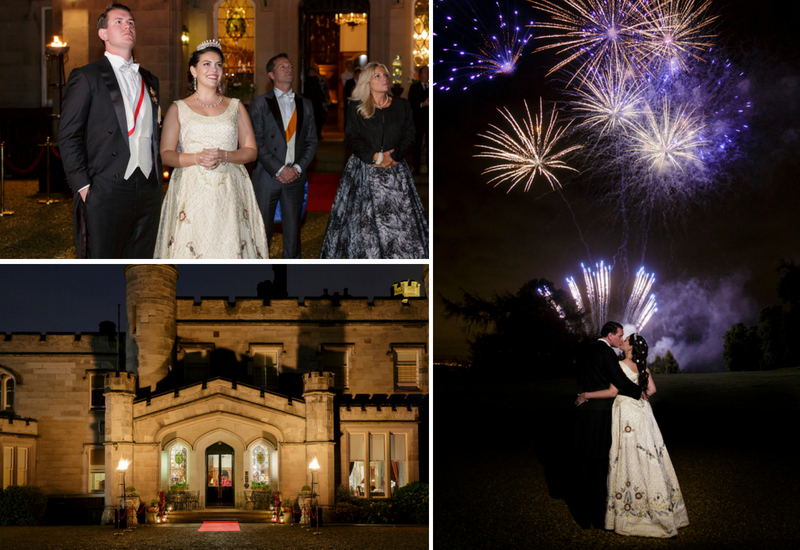 The day was filled with entertainment for their guests to enjoy, including falconry during the drinks reception and a grand pipe band and firework finale. 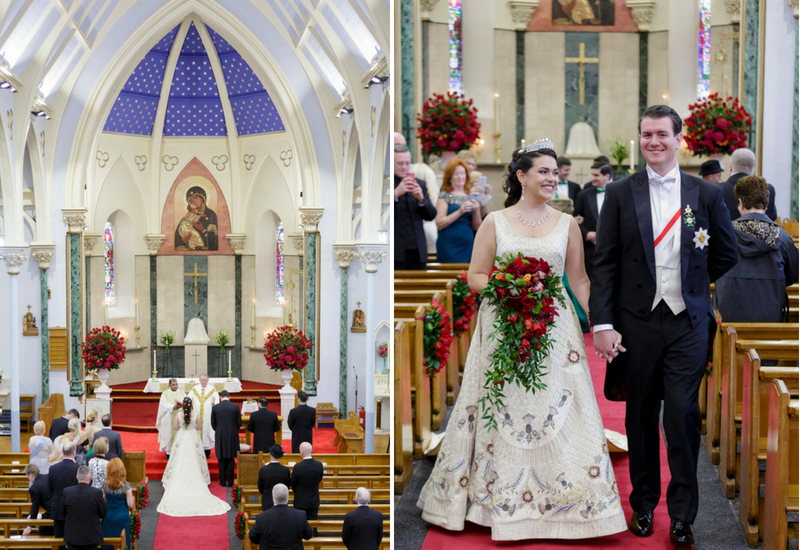 We hope you enjoy their photographs as much as we did.